What do we have in our collection? The library holds archival materials related to NIDA performances, including prompt copies, programs and recordings of shows. The library is open to NIDA staff, students and alumni members at the following times during Semester 1. *Opening hours are subject to variation and change at short notice. The library will be open for shorter hours during the mid-semester break. The library is closed on Sundays and all NSW public holidays. NIDA is located at 215 Anzac Parade Kensington, for transport information see getting to NIDA. Not a NIDA staff member or student? Visitor appointments are not available for Saturdays. For more information on how to make an appointment please see Visitors. Born and raised in Sydney, Ryan has always had a passion for theatre and performance. 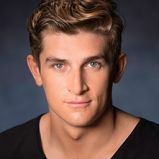 Starting at a young age in school productions, he became involved in the Australian Theatre For Young People and was lucky to perform within the Sydney Comedy Festival.